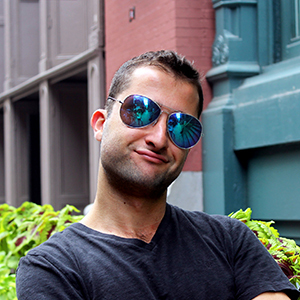 Originally from San Francisco, Daniel aka "Dealz" has been living the NYC dream for 5 years. Daniel graduated from USC in 2011 where he won back-to-back National Championships on the tennis team, and even had the opportunity to meet with President Obama. Prior to starting the Business Development team at pulsd, Daniel worked for John McEnroe at his academy in Randall’s Island. In his spare time, Daniel likes to brunch, play tennis, and attend as many pulsd events as humanly possible. Hailing from Portland, Oregon, Juhea came to NYC in 2009 after graduating from Princeton University. She worked in editorial at Alfred A. Knopf before landing her dream job at pulsd, where she is in charge of content. Outside the office, Juhea is a PEN-award nominated fiction writer, a lifelong runner, the vegan blogger behind Peaceful Dumpling, and a Pure Barre addict. Her idea of the perfect NYC evening is cocktails at a rooftop bar. A true indoor cat, she believes that the best part of traveling is coming back home to New York. Although she grew up on Long Island and went to school in Amherst, Massachusetts, Lauren always knew her destiny was in NYC. Lauren’s passion for entertainment and love for New York made her a perfect match for pulsd. Previously, Lauren worked as a manager to top-tier models at Wilhelmina. She is constantly searching for a thrill whether she is hiking, jet skiing, or skydiving. 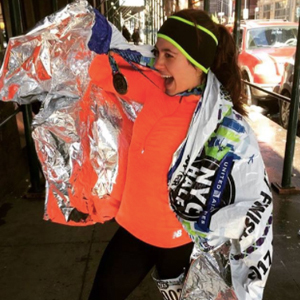 As a member of the New York Road Runners, you can typically find Lauren running down the West Side highway at sunrise and ending her day at one of the many live events New York has to offer. 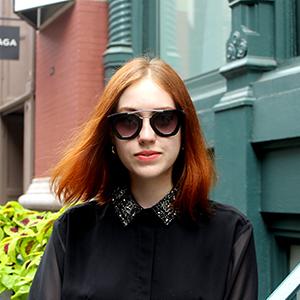 After finishing school at the University of Pennsylvania, Lisa eagerly traded in California sunshine for a slice of the Big Apple and a fancy finance job. She quickly found that her true passion is New York's cultural scene, and decided to transition her part-time gig as a city explorer to a full-time career. She now helms business development and merchant partnerships at pulsd, where her knowledge of the city's best restaurants is finally being put to good use. On the weekends you can find her at pulsd events or checking out the latest draft-only maritime themed tiki cocktail speakeasy-art gallery hybrid in Bushwick. Mareza Larizadeh is the Founder & CEO of pulsd, Inc. Born out of the desire to make the best of NYC accessible to everyone, pulsd is a business of fun, built by New Yorkers for New Yorkers. Previously, Mareza was the Founder & CEO of Doostang, an invite-only career advancement website targeting elite professionals. From 2001-2009 Mareza was a Vice President to DFJ ePlanet Ventures, a global private equity firm, where he was responsible for the fund’s investments in Skype, Ember, Baidu, and others. 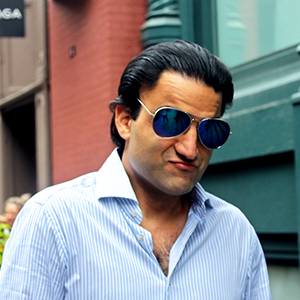 Mareza is currently a member of Gramercy Park Capital. In this position, Mareza is a seed investor in a number of companies including Bonobos, Meebo, Warby Parker, and many others. Mareza is a graduate of Stanford’s Graduate School of Business and Stanford’s Graduate School of Engineering. Vikram Joshi is the Founder & CTO of pulsd, Inc. After graduating from Columbia University, Vikram founded a few ventures on his own before joining forces with Mareza, our CEO, who was looking for a tech partner. They clicked great during their first meeting at Irving Farm Coffee Roasters. And the rest is history. Vikram believes that the success of pulsd depends on how well we treat our people: our users, our merchants & our employees. Vikram runs the engineering team with the tenet that what the company chooses not to do is just as important as what the company chooses to do & that the role of common sense in technology is underrated. 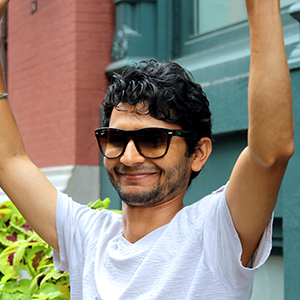 Vikram loves the diversity of New York City.